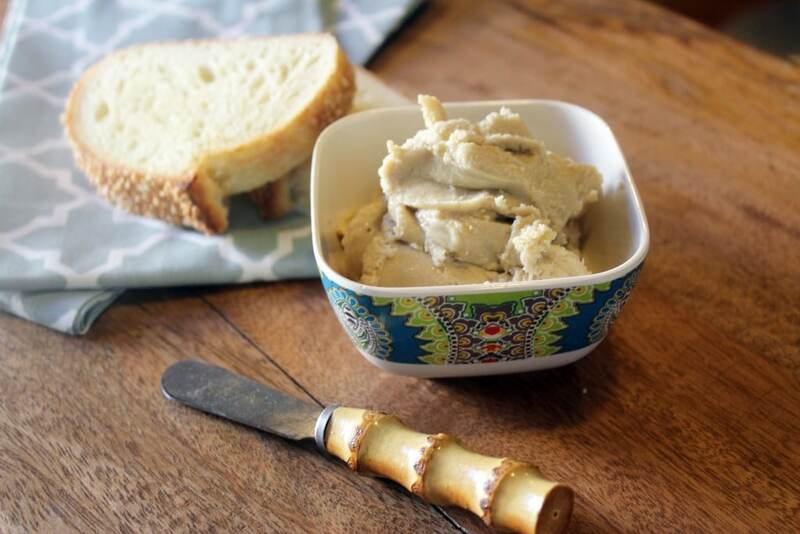 Homemade Cashew Butter – Vegan! FRIDAY IS HERE. Finally. This week took it out of me a little bit. First and foremost, a huge happy happy to my mama, who turns one year older than she was at this time last year today. She’s kind of the best mom in the world. Sorry other moms. So, in her honor, and because it’s Friday, I’m giving you a healthy, raw, vegan snack. You know about this, yes? 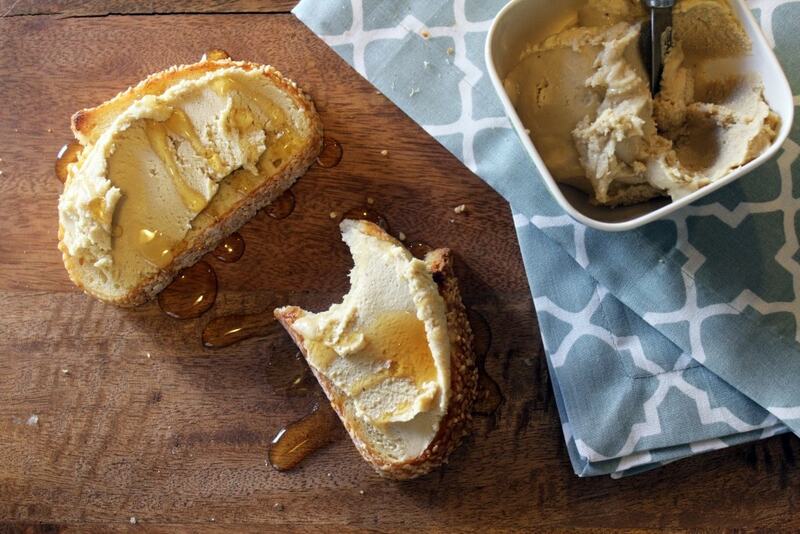 It’s nearly as dumb as the banana ice cream “recipe” I gave you awhile back. Not really a recipe, more a method, super easy, and yummy. Totes yummy. 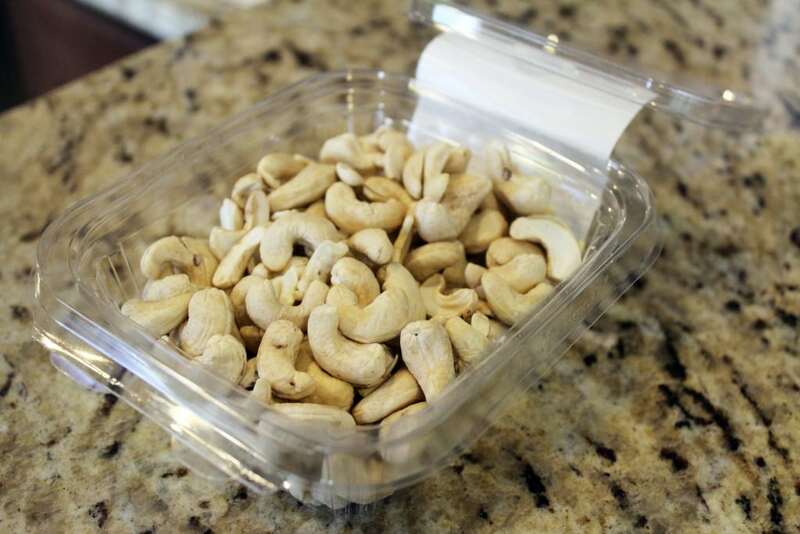 You just….need cashews. That’s really it. 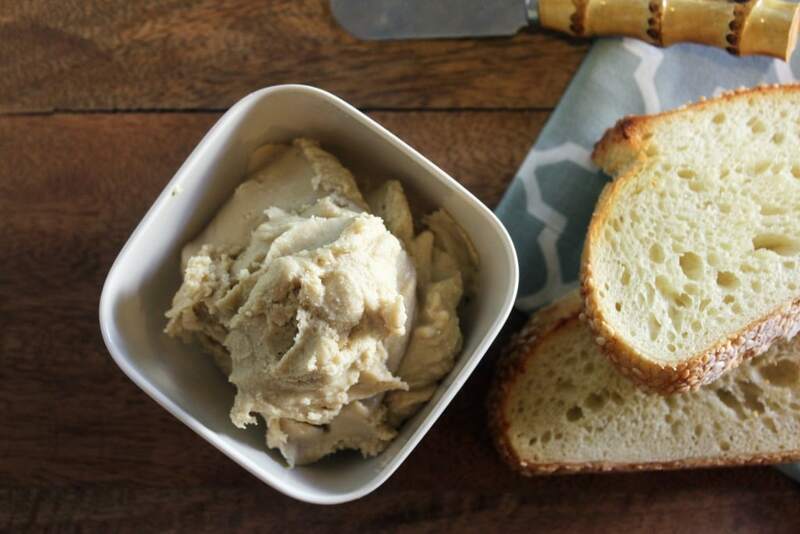 Raw unsalted are good because they have all of their natural oils still intact and, without the salt, you can use the cashew butter for sweet or savory applications. You also need a blender or food processor. This is a complicated process, so try to keep up. 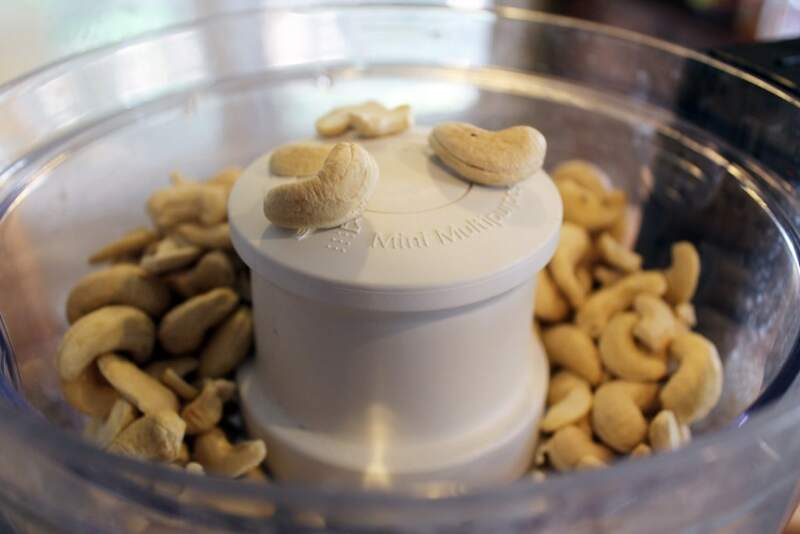 Dump the cashews in your food processor, and turn it on. That’s kind of it. After a minute or so, the cashews will be finely chopped and kind of sandy. Then, the cashews will kind of stick together and look like DIPPIN DOTS. Remember that? 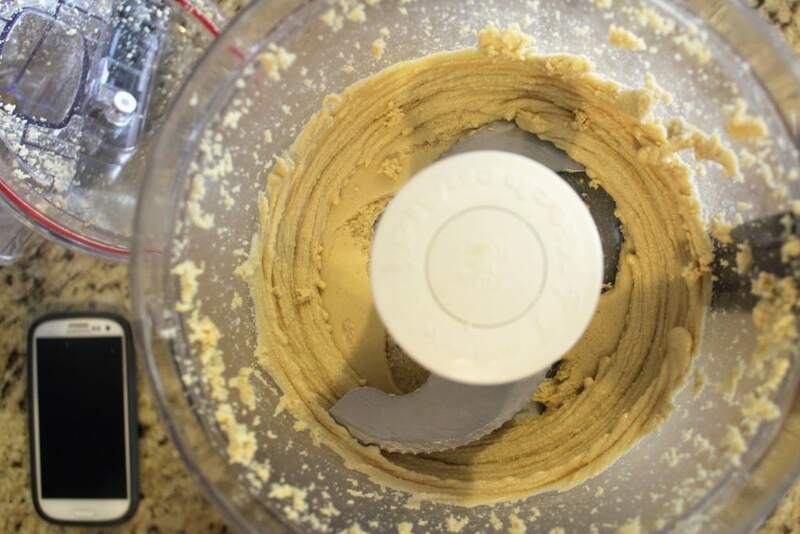 THEN, the cashew butter will all come together and be smooth and creamy and buttery and magical. MAGICAL, I TELL YOU. 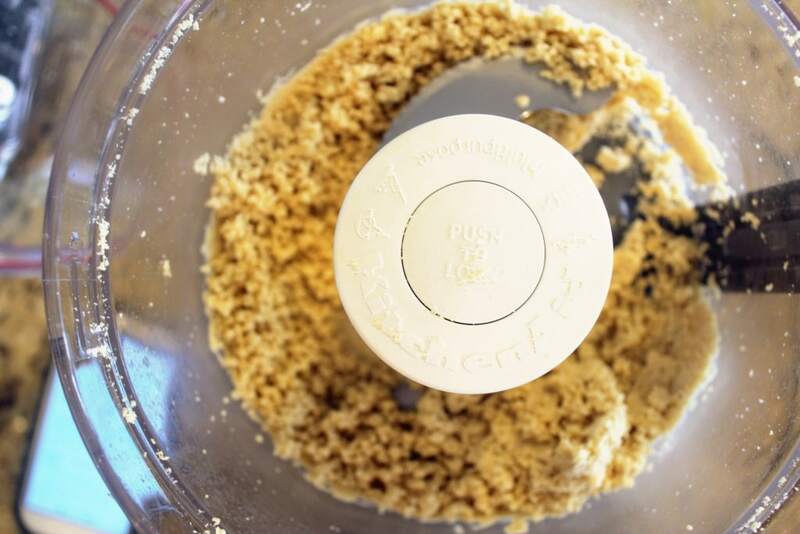 This took 6-7 minutes in my food processor, but I’ve read accounts of one minute start to finish or 10 so…you just need to watch it and when you have cashew butter, you’ll know. 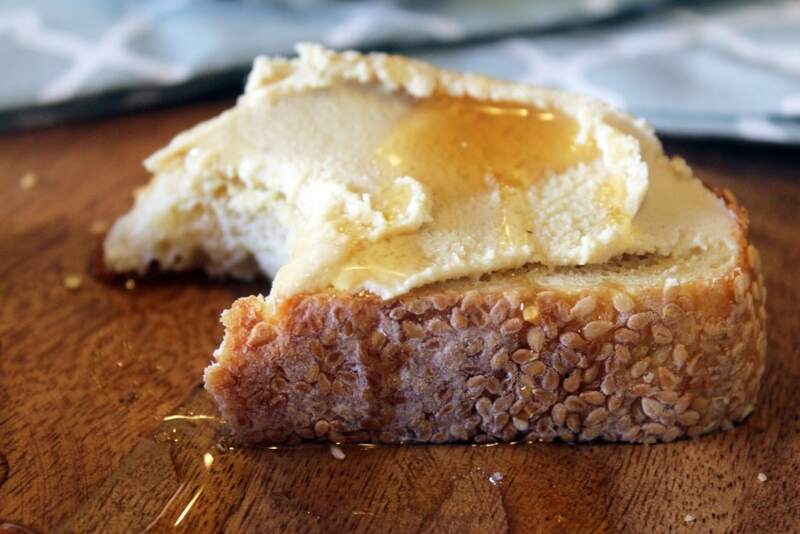 The texture of this butter is thick since we didn’t add any water or oil, but you could add 1 teaspoon of water or canola oil at a time if you want a thinner product – I like the thickness of this. It’s like all-natural peanut butter without the oil on top that tastes like cashews and WHAT’S WRONG WITH THAT? Nothing is what. Now, I like this plain on very lightly toasted bread. This particular bread is a sesame semolina from Panera, which is one of my favs. Sesame + Cashew = love4eva. Since the cashew butter doesn’t have any flavorings, a nice sweetness on top of the mild nutty butter and the salty-ish bread is REALLY glorious. 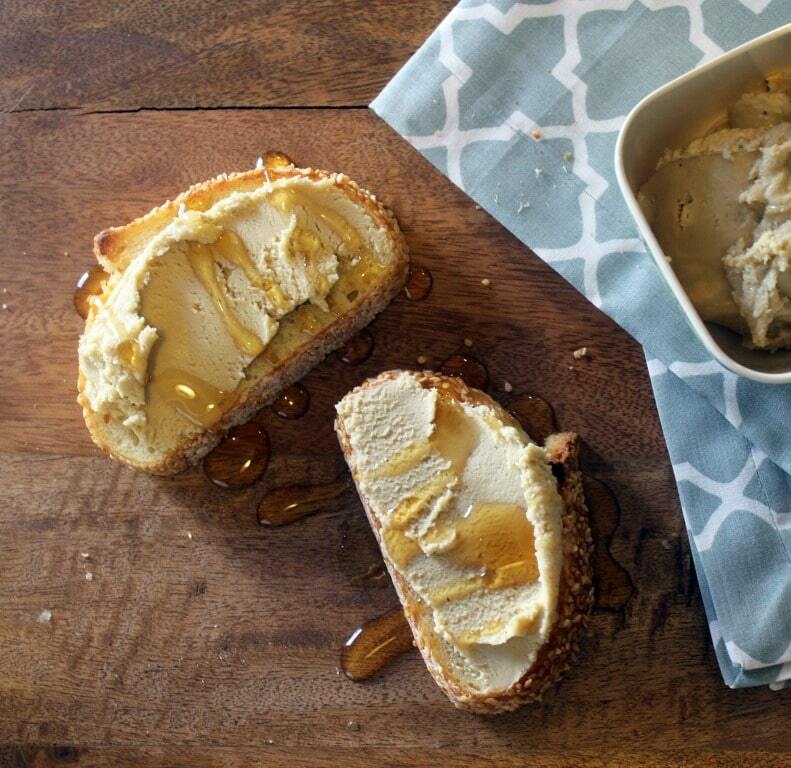 What nut butters make you nutty? Tell me – it might be my new favorite thing. 1 1/2 cups raw, unsalted cashews. In a high-powered blender or food processor, blend cashews together for 5 - 7 minutes until creamy. 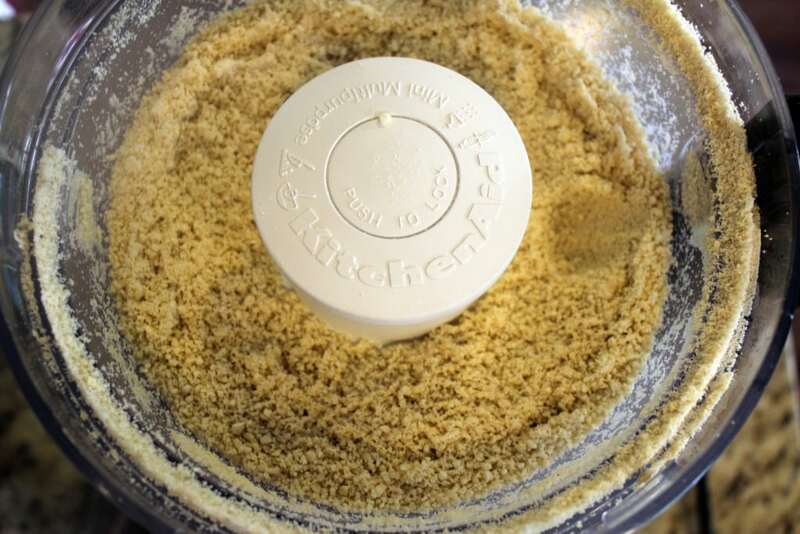 Cashews will become very powdery, then clump, then turn to a peanut-butter-like consistency. 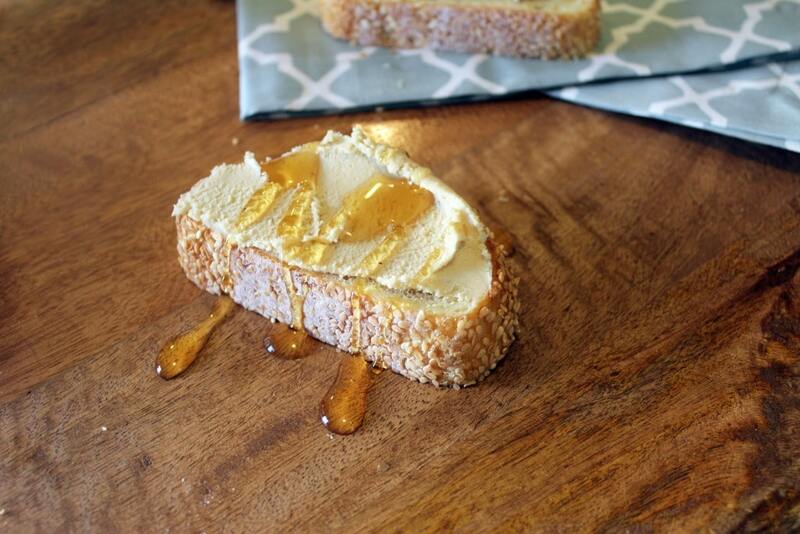 Serve as desired - try it on toast with a drizzle of honey! Yes oh yes! Please!!! Your photos have me drooling all over the keyboard. What an amazing recipe. Gonna try it as I have some cashews on hand! Thanks so much for sharing, and linking up, at Weekend Potluck. Enjoy a wonderful weekend! You’ll love it! 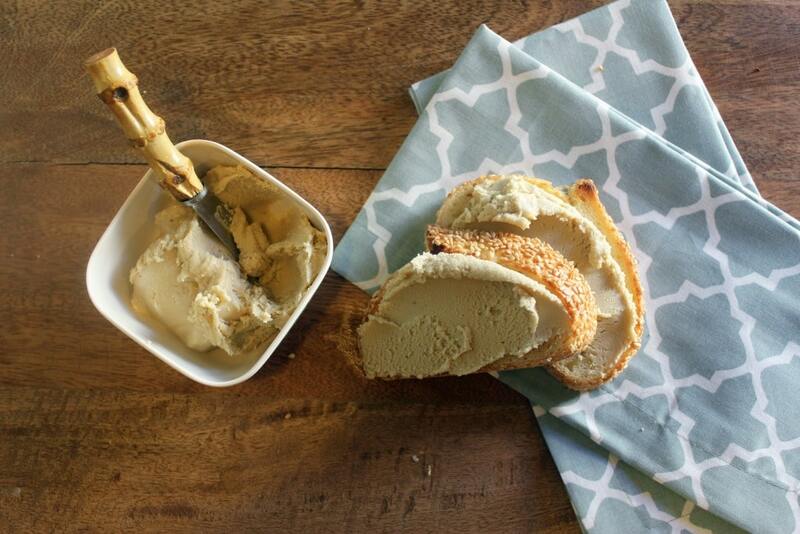 Such a fun alternative to peanut butter. 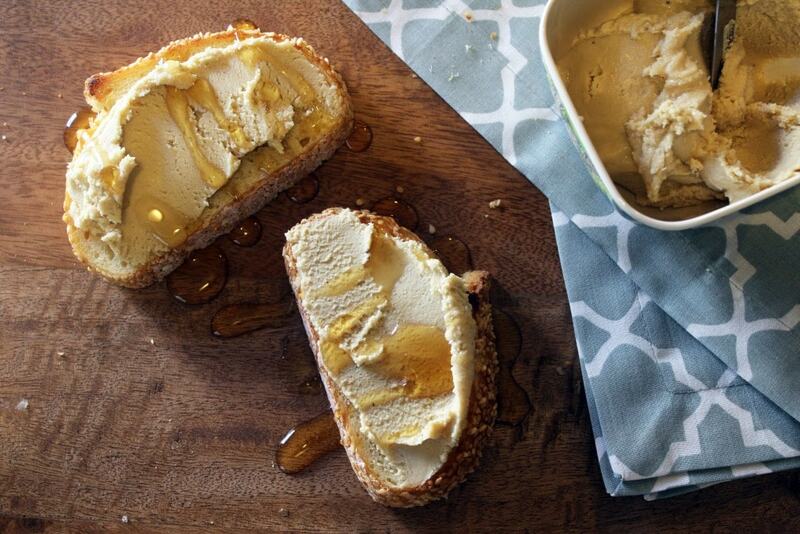 And…I’m making this right now.